Saoji or Saavji food preparation is a very spicy one from Maharashtra. This comes from Nagpur region where there is a large Saoji community and their cuisine is supposed to be very traditional and spicy.Majority of the savji people are non vegetarian and hence preparation of variety of meat dishes is very common in the community. The spicy, meaty delicacies are made out of chicken, mutton, goat and even fish, cooked with hot chilli pepper, poppy seeds, cardamom and coconut, in a sauce thickened by sorghum flour. Small family style restaurants called Savjikhanavali or Saoji Hotel / Bhojanalaya, found in large numbers in places like Hubli, Bangalore, Belgaum in Karnataka, Nagpur and Solapur in Maharashtra. 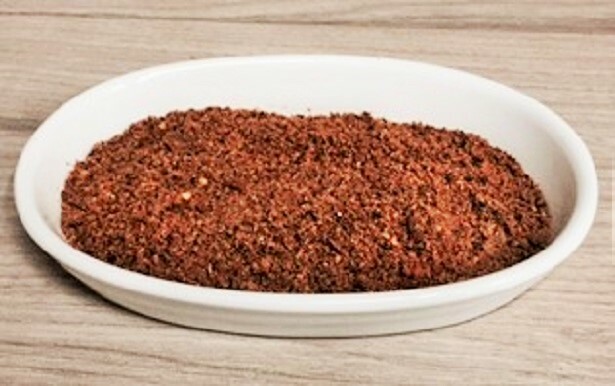 This spice powder can be made and stored for a long time. You can even use it for some vegetarian dishes. Dry roast the whole spices first. Remove from the pan. Next dry roast the dessicated coconut on very low flame until it gives out an aroma and changes colour. Remove from the pan. Now roast the sorghum flour taking care not to burn it..
Let the ingredients cool. Mix them together. Grind them to a fine powder. Store it in a clean, dry sterilized container. Something new for me. Thanks for sharing this masala recipe. A great recipe. Love making my own blends so will try this one. What an interesting mix, what is dagad phool?? 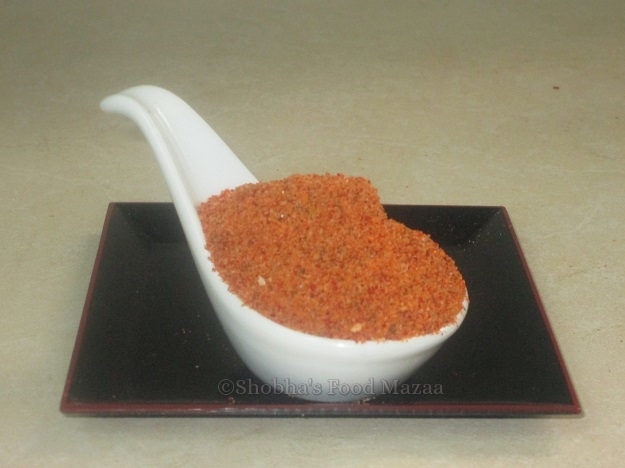 Nayna it a kind of blackish flaky spice .. light in weight, mostly used in garam masala. I really like the look of this spice blend too. Will give this a try. Thanks Shobha. Sounds flavorful.. will try this for sure.. Very new for me..
i dont think it tastes good because you are not using ginger garlic paste... and it is the base of any saoji's nonveg dish. Nikita, for your information this is the spice powder for storing and the ginger garlic will be added fresh while cooking any dish with this masala..
Can you please suggest a substitute for sorghum flour? Will wheat flour or Besant or ragi flour be okay? Bajra or ragi flours can be used but the colour of the curry might change. Try rice flour. Very good and perfect recipe. I tried this and then giving my opinion. Thank you so much for liking and trying out the spice powder. Is the Saoji masala the same as Varhadi masala? I think so.. but not sure. Wow.. that will be a lovely surprise for him.. home made special masala. Never heard about this masala, intrigued about the addition of Jowar flour. Jagruti, the flour gives a body to the curry. Can you also please share the method of using this for mutton saoji? I have posted a Saoji Chicken Curry in the blog.. check it out and replace the chicken with mutton following the same steps. I am glad my post was helpful to you.